It is timely that just as I take up my new role as Account Director with Mantis, Cornwall has been signposted by an article in The Telegraph as one of the UK’s hottest tech hubs. It came as no surprise to me, having been based in the county for the last two years and witnessed first-hand the innovation which is unfolding right here in a part of the country perhaps more synonymous with pasties and scones, jam and clotted cream (always jam first) than software and the cloud! But tech is undeniably one of the fastest growing sectors in the region. With Cornwall benefitting from huge investment which has paved the way for Superfast Broadband and improved transport connections with London and beyond – businesses can also benefit from lower overheads and attract both skilled and experienced professionals and early careerists – offering exciting opportunities balanced with an enviable lifestyle. Thus the scene was set for Tech Connect – a day of tech talks and discussions run by Software Cornwall. 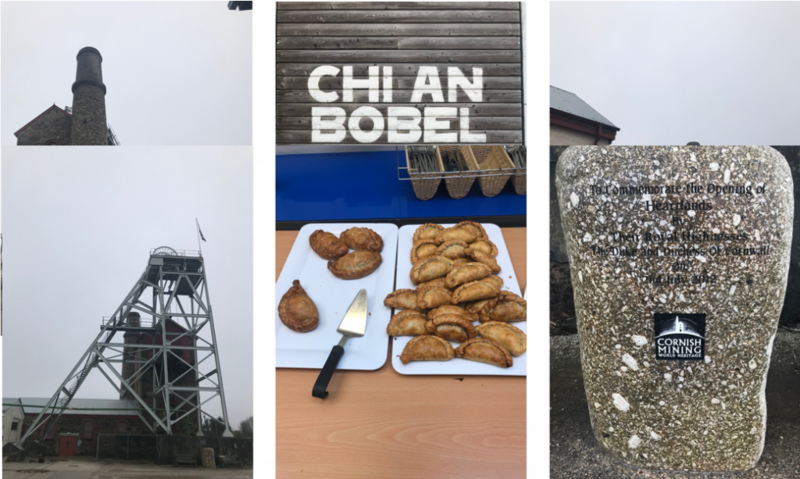 The organization connects, promotes, represents and supports Cornwall’s digital tech community, and came together at the Chi An Bobel conference centre at Heartlands, a cultural space known for its rich mining heritage, to discuss an industrial revolution of a new kind. The developer day comprised an interactive agenda, with tech applied to all kinds of industries, and providing solutions to all sorts of problems. It was fascinating to listen to Wo King from HI9, a company focused on making the internet more accessible and easier to navigate for first-time users and digitally-excluded people – talking about the potential for voice AI in everything, and developing solutions for patients such as medicine reminders. The highlight for me – a presentation from EPIC EHealth – an initiative supported by Creative England, The Patients Association and researchers at Plymouth University amongst others. It backs Cornish businesses who are developing the digital products solving health and social care challenges in the UK and beyond. I got to meet Paro the seal – a robotic seal pup developed in Japan to help dementia patients – and see the Padbot, a robot which enables medical professionals to connect remotely with patients and even track and monitor them in a care home – in action. Technology with the potential to make a tangible difference in people’s lives. And so, in these early days of my new job, one of my first observations is that tech courses through the very veins of Mantis. It is the passion of each and every one of us and what enables us to work efficiently and effectively up and down the country, tapping into the local tech communities and hubs so we can keep our fingers on the pulse and be the best possible partners to our clients. I’m excited for the next event and to be part of such a thriving sector!